We lived in No 2, Park Hall Mews, just a short walk from the swimming pool (OSW-NP-P-30-35 – Park Hall Camp Swimming Pool) which allegedly was “Olympic size”, and I swam there regularly. In the evenings it was reserved alternately for Officers’ families and the families of ‘Sergeants and other ranks’. 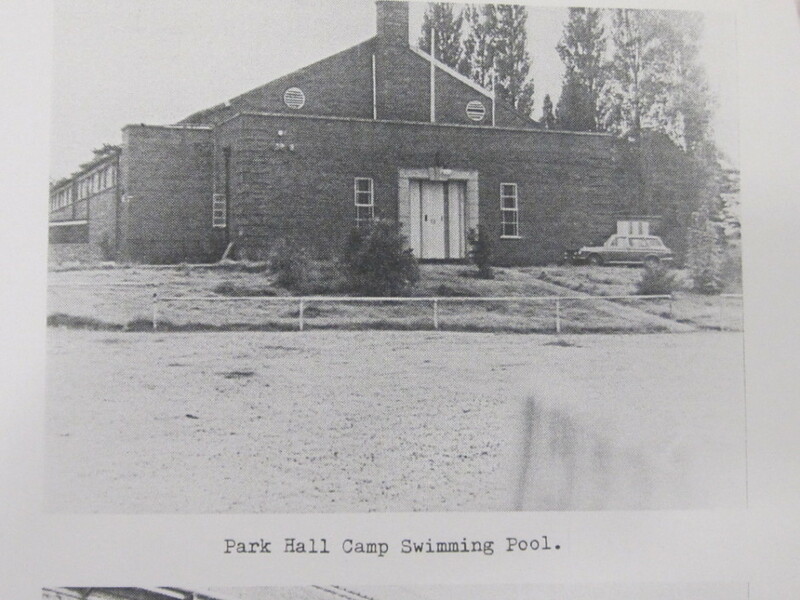 Occasionally while I was at Woodside we had school swimming sessions in the town baths, where the water was cloudy from the chemicals – it was clear in the camp baths. The town swimming pool had a 1d (old penny) ‘Brylcreme’ dispenser!